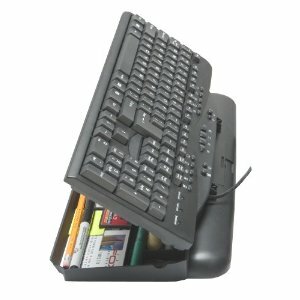 The Keyboard Organizer is the worlds first and only functioning computer keyboard that opens for storage under your keyboard. About the same size as any other keyboard without storage capabilities. The deluxe keyboard includes volume control, cd/dvd controls, and many more! The Organizer has 13 compartments for your stuff.